While writing Cherry Blossoms in Twilight, my mother’s stories of everyday life around WWII in Japan, my eyes were opened to the gold of all personal stories, especially of culture and history. Sure, I had heard plenty of Mom’s childhood stories of getting lost, hunting for tadpoles in rice paddies, and celebrating fairytale-like legends, but when I grew up and she told me how she survived during the war, history came alive as I never knew it before. My school history books never said anything about that part of WWII! They were full of dry overviews from the US viewpoint. They never said anything about the internment camps in the US for the Japanese-Americans either. See Mustang Koji’s Masako and Spam Musubi blog for stories about his mother’s family’s survival during WWII in Japan (thanks to Jan Morrill, author of The Red Kimono, for directing me to Koji) . Memoir author and lifewriting workshop leader Susan Weidner was recently on a writing retreat in Tucson where she met fellow lifewriter Patricia Preciado Martin. Susan interviewed Patricia about her passion for gathering personal stories of Mexican American culture and history, including folk tales. 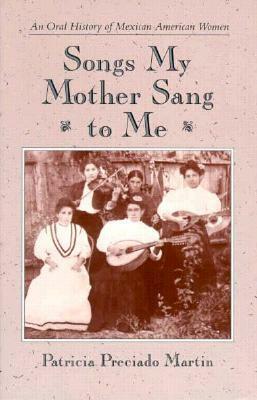 After Patricia got tired of seeing Mexican American women portrayed as stereotypes, she gathered stories of real women and published Songs My Mother Sang to Me. Hop on over to Susan’s Women’s Writing Circle blog to read her post, Stories of Women in the Southwest, about Patricia’s important work. Patricia talks about doing research before interviewing a subject. Knowledge of the person’s culture and the history and sociology around the time of his or her earlier life does help identify important questions to ask, but don’t let that stop you from doing an interview. Once the stories start coming out, you may find yourself like a curious child sitting big-eyed at a grandparent’s knee—full of questions. This entry was posted in capturing memories, Cherry Blossoms in Twilight, heritage, history, multicultural, storytelling, traditions, war stories, WWII and tagged culture and heritage, war stories. Bookmark the permalink. Linda, I still remember your mother’s stories from CHERRY BLOSSOMS. What a treasure you have in capturing and preserving the culture and everyday life your mother experienced.It is a great reminder as is Susan’s post about the importance of listening to and writing down these stories. Thank you both, and thanks for stopping by.